What is bothering voters in the cities as Karnataka election draws closer? Karnataka, one of the only five remaining states in the country where Congress rule still prevails, is gearing up to host a major electoral battle that will not just decide the next Assembly but is also expected to create a reflective impact on Prime Minister Narendra Modi’s 2019 election campaign. Two months prior to the state elections, the anxiety of the people is palpable in the ‘Karnataka Voters’ Survey 2018’ released by the Chief Election Commissioner, Om Prakash Rawat, at IIM Bangalore on March 9. The state’s capital with a population of 12.34 million is home to 28 of the 70 urban constituencies, and has vocal citizens seeking change. Issues that urban voters believe need to be addressed urgently are: water supply and quality, electricity supply, better schools, better roads, and the environment. 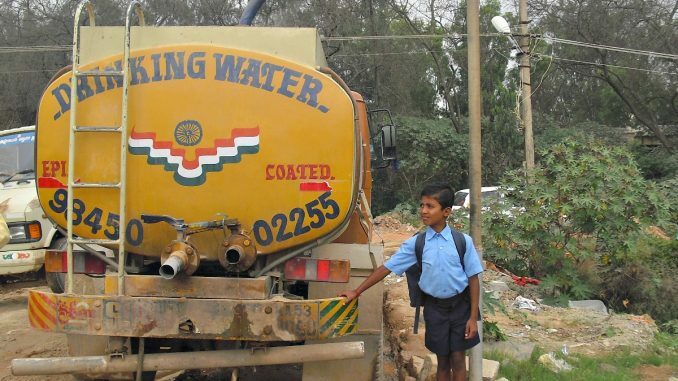 Of the five, the most pressing concern worrying voters in urban Karnataka is the water-crisis according to the survey conducted by Association for Democratic Reform (ADR) and the civil society body, Daksh. Apart from Bengaluru of course, which houses the bulk of the urban electorate in the state, Tumakuru, Davangere, Bidar, Hubbali, Raichur, Mangaluru, Kolar, Dharwad and Belagavi are some of the main urban areas analysed by the survey, which looked at 13244 samples in the aggregate, across Karnataka’s 225 constituencies, both rural and urban. According to the analysis of voters’ perception, water supply and quality is the topmost issue of concern on voters’ minds with a score of 8.02/10. The report, which looks at both performance and significant concerns, also gives an idea of action implemented as against expectations. Urban voters clearly feel that the government has failed to ensure adequate water supply, awarding legislators a score of 7.48 on their performance. A ray of hope came from the Supreme Court’s allocation of 14.75 tmcft of water to Karnataka on February 16, of which only 10 cmft will go to the water-scarce cities and rural districts other than Bengaluru. The court’s deadline of six weeks’ time to form a Cauvery Management Board supervised by the Cauvery Regulation Committee remains to be met by March end. It is likely to be the top priority of the next government to ease long term water-related woes, especially given that the population of Bengaluru is expected to touch 20 million by 2031. 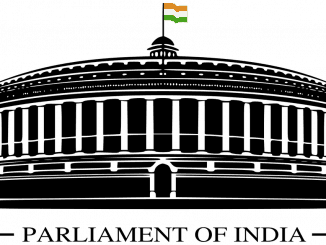 The next concern of voters as published in the survey is better electricity and supply in urban areas of Karnataka (7.97). Addressing electricity shortage in the state, Energy Minister, DK Shivakumar said at an event on March 1 in Bengaluru that a massive gas unit to produce electricity is currently being set up in Peenya. His appeal to the Election Commission Grants to inaugurate the unit by March 15 was layered with political designs, as the unit has been 30 years in the making by his own admission. “The gas unit can generate 1,370 megawatt power and has been constructed at a cost of Rs 1,400 crore. Once it is inaugurated, the city can get uninterrupted power supply,” he told reporters. Data compiled by the government of Karnataka reveals that the maximum power-demand of Karnataka is projected to increase to 14,710 MW in 2019. In preparation to meet this demand that increases especially during summer season, the government started the process of inviting tenders to purchase 1000 MW six months prior to summer in 2018. Absence of better schools in Karnataka is the third highest rated concern among citizens (7.94). Contrary to popular belief that children are better educated in urban areas, Bengaluru Urban District has the highest number of school dropouts in Karnataka in 2016. The annual survey conducted by Sarva Shiksha Abhiyan shows that 1793 students dropped out of school in the city in 2016, followed by 1389 students dropping out in Kalaburagi and 635 in Yadgir. The exorbitant cost of school education adds another dimension to this issue. An earlier report in Citizen Matters Bengaluru drew attention to the whopping 80 to 100 percent fee hike in private schools over a five-year period. The Karnataka Educational Institutions Act 1984 does not put a cap on fees and leaves it to each institution to decide the fee structure based on expenses on account of paying staff or maintaining campuses. A Public Interest Litigation filed by Karnataka School Parents Association ( KSPA) in 2016 sought that fees be kept at the minimum required, and any increase be decided through a consultative process. These efforts have not yielded much till date. 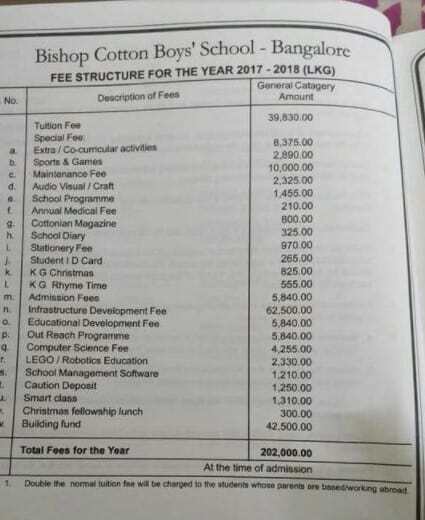 Parents were enraged by the viral photograph circulated online last week capturing the two lakh fee structure for LKG admissions in Bishop Cotton Boys’ School. Once again, the debate on exorbitant hikes in school fees, particularly in private schools, is back on the top of parents’ minds. As it turns out, however, education in Bengaluru schools is not necessarily of the highest standards, if grades are anything to go by. Under the National Achievements Survey 2017, students from standard 8 were tested on math skills across Karnataka, in which Bangalore North students scored an average of only 35 percent while Bangalore South received a mere 43 percent. This has raised concerns over the lack of quality teaching and overcrowding in classrooms. A spate of unfortunate incidents involving child sexual abuse has also turned the spotlight on inadequate safety measures to protect children from predators. 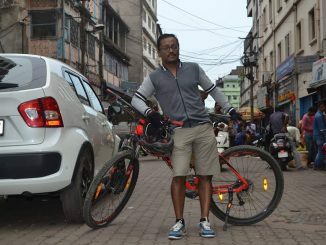 Reports of accidents on the pothole ridden roads of the city make for frequent headlines. The ministry of road transport and highways recorded 189 deaths due to potholes in Karnataka between 2013 and 2017 according to a report published in The Times of India. The need for better roads stands at fourth place among the urban voters’ concerns with a score of 7.81. The BBMP’s unreliable count of potholes ranges from 700 to 16000 on different occasions in the same month. Indication of logistical issues at the heart of the matter were evident from the government’s opposition to white-topping or cementing of roads due to the huge expenditure it requires. The project to concretize 29 roads in the next two years will cost rupees 720 crores, says one report by The Economic Times. The other problem bothering urban citizens is environment, which has a score of 7.80 on the concern list in the report. 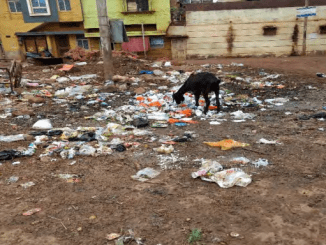 Air and water pollution, decline in tree cover and rise in temperatures have all been clear manifestations of the overall deterioration in environment in Bengaluru and other cities. The controversy surrounding the dense and toxic froth formed over the 750-acre Bellandur Lake, and the occasional fire break-outs over the past three years, has met with continued inaction. The latest incident occurred on January 18th this year when the froth burst into flames as a result of the combustible methane gas that forms soon after. The 30-hour-long fire could not be doused by 50 fire-engines on the spot. A lot has been said and written about the causes behind this, but not much has changed on the ground. Residents and professionals working in Whitefield and several others areas in Bengaluru report illnesses caused by the sickening stench, burning of garbage and air pollution resulting from dangerously high emissions from various sources. In the rapidly urbanising areas of the state, which witness a steady influx of migrants not just from within the state but also from all over the country, the pressure on limited resources is growing. Citizen concerns registered by the survey also reflect that, and these issues are expected to be felt and discussed more sharply as the election draws closer.